In this guide we’ll take a look at the best RC cars for the money. 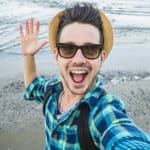 What Are The Best RC Cars For 2019? The Traxxas Slash Short Course Truck is loved for its exceptionally high speeds and customizable design. In my opinion, one of the best traxxas RC cars on the market. It has waterproof electronics for all weather driving, and has a sturdy and durable frame. The powerful brushless motor lets you reach speeds of over 60mph. This truck has a rigid chassis with a low centre of gravity for extra stability as you zoom round corners. This arrives fully assembled and practically ready to use – you just need a transmitter, receiver, battery and charger. The clear polycarbonate body allows you to paint your truck in any color you want, and the hard-anodized and PTFE-coated aluminum GTR shocks deliver track-ready suspension. Overall, this is a fantastic truck which will provide hours of fun. Despite the high speeds, It’s optimised for a smooth performance with refined control. A must-have for any speed-loving adrenaline junkies! In my opinion, the Hosim 4WD is one of the best rc cars under $200. It’s strong, sturdy and will help you stand out from the RC crowd. Without a doubt it’s one of the best rc cars for beginners too. It’s fully equipped with two motors which give it a max speed of around 30mph. The heavy duty wheels are seriously tough. They make off-road driving a total breeze, with the bouncing spring materials giving support and bounce on any unstable surfaces. It also boasts full four direction control to allow it to move forward, backwards, left and right with ease. The 1/10 scale means this truck really is a monster. It’s super fast, reaching speeds of up to 30mph, but the independently simulated shockproof system will keep it sturdy and reduce impact at those higher speeds. Finally, this truck has high temperature protection meaning the vehicle will cool itself down, and the included battery is a nice touch. This VCANNY RC is one of the best rc cars for kids. It’s powerful, speedy, shockproof resistant and offers great control. It’s 4WD and comes equipped with two rechargeable batteries. Specifically designed with durable, strong and powerful components, this little RC reaches speeds of up to 30mph with a 390 brushed motor. It’s great for kids, with the 4WD adding extra stability around turns and making it easy to go forwards, backwards, left or right. This car offers a superior control with a range of 260 feet and responsive steering. The remote is easy to use and the wheels are heavy duty for high speed and a stable drive. Finally, this is powered with rechargeable 7.4V batteries which last for 20-30 mins. Overall, this car is ideal for kids as it’s small, nippy and powerful. The solid bumpers will protect the car from any accidental crashes, and the motor provides great power for off-road performances – including sand, rock, concrete and grass. In my opinion, the Traxxas Mark I Short Course Racing Truck is a fantastic RC car and well-worth your consideration. It’s study, speedy and less likely to blast into smithereens if you hit something with a little too much pace. Available in a choice of four colours, this Traxxas truck has a waterproof receiver box meaning it can be used in all weather. It also includes an ID-equipped Power Cell Ni-Mh battery which, although not as powerful as the Li-Po counterparts, makes it ideal for off-road fun. The brushless motor makes up for what power the battery lacks, while the high-torque steering servo provides accurate steering even when the weather doesn’t play nice! Finally, this truck is tough. The front and rear bumpers ensure this truck can take all sorts of bashings, while the optional 23-tooth pinion gear ensures those top speeds can be reached without a problem or, use the already fitted 16-tooth pinion for all-around bashing. The TOZO C1142 Sommon Swift RC is a 1/24 scale off-road cross country car, boasting a powerful motor and an impressive max speed of 30mph. This car is as durable as it is fast. The explosion proof PVC shell with an independent shockproof system will prevent damages caused by excessive speeds. It’s easy to control, with a range of up to 100m and hi-q rubber wheels which boast anti-skid qualities. It has a highly responsive steering and throttle. Slippery roads are no issues for this little car, it stays sturdy and performs well on all surfaces, whether that’s hard ground, grass or sand. The powerful motor allows this car to reach speeds of up to 32mph, and the metal gears enable smooth changes and are more durable than plastic gears. Next up we’ve got another Traxxas model, the RTR 1/10 Rustler. With speeds of up to 35mph, it’s still got nothing on the Supercar, but this stadium truck does make for a speedy and reliable beginner to intermediate RC. Available in a choice of 4 colours, the RTR is a joy to look at, with 2.8-inch mirror-chrome All Star wheels to help it stand out from the crowd. The Traxxas RTR comes equipped with a powerful 8.4-volt Ni-Mh battery for reaching those top speeds. The ease of using the Ni-Mh packs in comparison to the Li-Po products makes this RC a great one for the kids or beginners, but someone with slightly more experience can easily upgrade the battery to a Li-Po pack and notice a difference. What else is there to say? Well, the RTR includes an optional 28-tooth pinion gear for extra speed as well as a high performance bellcrank steering system, which increases stability around corners. There aren’t many downsides to the RTR, I had a great time driving this stadium truck and was impressed by the speed, brakes and turning. The charger included is far from ideal. It takes a long time to charge this vehicle and many people have reported it breaking. Purchasing a new charger does solve this problem, although this is an extra and what should be unnecessary cost. All in all, a great first car for an even better price. Great first vehicle - easy to drive, repair and fun! The Redcat Racing Shredder XTE is a firm favourite in the RC community. With forward and reverse transmission, aluminum capped oil filled shocks and a 2.4GHz radio system, this truck offers great value for some serious power. Redcat Racing are renowned for their strong and sturdy trucks which, more often than not, can be easily upgraded for slightly more power. This ⅙ scale truck doesn’t shy away – it’s large and heavy with thick tires and bigger shocks than many other models, giving it that extra competitive edge. The goal of the Shredder, for Redcat Racing, is to allow RC enthusiasts to experience large scale fun at half the price. For such a big vehicle, the price is fantastic, it’s easy to control and the waterproof ESC and servo means it’s fun and easy to control in all weathers. The Traxxas Unlimited Desert Racer is a beast! This RC Race Truck has 4-link rear suspension with a solid link axel. The GTR shocks at each corner replicate real life desert truck performance, while the extreme suspension travel allows for excellent off road ability and stability – meaning you can take on large jumps and obstacles with confidence. In both form and function, the Traxxas Unlimited Desert Racer is as close to the real deal as you can get. It reaches speeds of up to 50mph with excellent control, making it fun and adrenaline-filled to drive. While there’s no denying this model is expensive, the framework is stunning, the parts high quality and hours of fun are virtually guaranteed. Feast your eyes on the Traxxas XO-1 AWD Supercar. Yes, it’s the most expensive on the list by quite some margin, but boy, do you get what you pay for. This supercar extremely fast, reaching over 100mph with 3s Li-Po batteries. It’s quick off the starting line too, seamlessly shooting from 0 to 60 in just 2.3 seconds. That’s a lot of power! I probably don’t have to say this, but this car is not suitable for beginners. The power and potential speed can make it dangerous in the wrong hands. If you know what you’re doing however, there is all sorts of fun to be had with this little car. So, what about the features? Well, this car boasts Traxxas Stability Management, making it easier to control on slippery surfaces like dirt, gravel and even ice. It’s compatible with the Traxxas Link app which records real data as you drive – including speed, battery voltage, RPM and temperature. The Big Block brushless motor is the largest motor ever offered in a Ready to Race model, giving you unlimited bragging rights, while the size and shape of the vehicle has been meticulously designed to harness airflow to reach those top speeds. The tires are also specially developed for high-speed use. The downsides of this product are minimal. Obviously it’s a large amount of money to part with, another reason why this vehicle is only really for seasoned RC pilots. The batteries aren’t included which adds to the cost even more, and if you want to reach top speeds you will need to buy the costly 3-cell Li-Po batteries alongside a charger. Finally, while I am perhaps unhealthily attached to this car, the speed it reaches means you will be always at risk of completely destroying it. Trust me when I say you do not want to hit anything at 100pmh. Fast and oh-so-furious, the Redcat Racing Lightning Pro is an animal! With an electric brushless motor and an incredible design in either a choice of blue or red, this 1/10 scale RC will make you the talk of the town. This RC has a vivid polycarbonate body, forward and reverse transmission and comes with a 7.4v 3500mAH Li-Po battery and charger. It really is a speed demon, reaching over 40mph with ease, while the 2.4GHz radio system ensures the driver is always in control, even at those lightning-fast top speeds! Aluminum capped oil filled shocks and adjustable independent suspension provide excellent traction and stability, and this model arrives ready to run straight out the box. Exceptionally fast, fun, and responsive, this car is the rush of adrenaline you’ve been looking for. The Redcat Racing Blackout XBE has a powerful brushless motor, 4WD and a waterproof ESC. This model is immensely powerful and seriously fun to use. It’s ready to go straight out the box, complete with a powerful Li-Po battery and charger. It has great traction for maneuvering obstacles with style, and the forward and reverse ESC make light work of tighter spots. Finally, this buggy has a lightweight plastic chassis, oil-filled coil over shocks and independent suspension. The waterproof electronics ensure great control and endless fun whatever the weather. The Redcat Racing Everest-10 Rock Crawler is a serious attention grabber, available in blue, blue and black, red, or red and black. To say this model is great to look at is an understatement. It’s sturdy, tough and seriously fun to drive. Like most rock crawlers, this model isn’t designed for speed. Instead, it’s designed for scaling obstacles and it certainly performs; challenging the laws of gravity and scaling enormous rocks with ease. This RC comes complete with front and rear multi-link suspension, front and rear transmission, and a battery and charger. It’s aggressive both in performance and design, featuring beadlock rock crawling tires, aluminum capped oil filled shocks and a 2.4GHz radio to make it easy to navigate even on extreme terrain. The waterproof electronics and sturdy design make this crawler an all-weather beast, and it arrives ready to run, with the battery included. The TOZO C5031 Desert Buggy is one of the best RC cars under $100. It’s a 1/12 scale, fully proportional off-road vehicle, meaning it not only performs well, it looks pretty good too. This model boasts a powerful brushless motor to help it hit those top speeds of 30mph. The 2.4Ghz radio system gives you exceptional control from a distance of over 50m. The independent shockproof system will prevent damages caused by vibrations, and the tough PVC shell will do its best to protect the vehicle from any damages. The rubber wheels provide excellent grip, while the gears are made from metal for smooth changes and a longer lifespan. This model comes with a 7.4v 1500mA battery and charger, white and red LED light.. Overall, a great looking car with an even better looking price tag. Sleek and stylish, the Traxxas 83044-4 Mustang GT is for anyone who wants to make a statement on the roads. This is the officially licensed Ford Mustang GT scale replica. It’s 4WD with a ground clearance of 0.3 inches. While not quite as speedy as the real Ford Mustang GT, this little car does reach speeds of over 30mph, and it also has a waterproof ESC and watertight receiver box, making it perfect for all weather fun. The remote control provides long range control alongside quick response times, while the rubber street tires are great on wet or dry roads. The model is 1/10 scale but every aspect of the Ford Mustang is captured brilliantly. The 2WD Traxxas Stampede Monster Truck is tough, powerful and available in a choice of 6 great colours. This truck is fast and manoeuvrable making it great for beginners, but more experienced RC pilots will also love this model. The Traxxas Stampede comes fully equipped and ready to run. It’s powered by a Traxxas ID-equipped Ni-Mh battery, although this can easily be upgraded to a Li-Po if you fancy something with a little more power. The high-powered steering servo is waterproof meaning this RC can be driven in all weathers, and an included optional pinion gear is available for higher top speeds. All in all, I had a great time driving this truck. The price is great value for what you get, and it certainly feels powerful. 2WD models don’t turn quite as well at top speeds as 4WD models, but this isn’t too much of a problem. If you’re a beginner or not after something too technical then this monster truck is a great option. Another from Redcat Racing and we’ve got their Volcano model, which boasts an electric brushless motor, 4WD and a high torque servo. This model runs on 7.4v 3500mAh Li-Po batteries, which are included alongside the charger. It’s fast; reaching up to 30mph and ready to run straight out the box. Like the Blackout, this model has lightweight plastic chassis, oil-filled coil over shocks, independent suspension and a forward/reverse ESC. It’s easy to manoeuvre even at speed, and the battery can be easily upgraded to make it a little more powerful. For a lower budget truck, this model ticks all the boxes, and performs just as well as the more expensive Traxxas RCs. Next up, we’ve got the Traxxas Bigfoot Monster Truck, which is a great alternative to the Stampede if you have a little more to spend! First things first, I love the colour. The Bigfoot is available in a bright, metallic blue, which just adds to its charm. It comes equipped with a 7-cell Ni-Mh battery, a waterproof receiver box and an ergonomic radio system which is comfortable for all day driving. Finally, the Terra Groove tires are great for any terrain and weather conditions! Using the battery included, the Bigfoot certainly lacks the speed of some other Traxxas models. The top speed is around 30mph although to reach this would require giving it a bit of an upgrade. However, for a first truck, the Bigfoot ticks all the boxes. It’s easy to drive, great to look at and will certainly feel fast to beginner pilots. Let me introduce the Exceed RC Drift Star. Alright, so it lacks the speed of the Traxxas vehicles, but this car is perfect for drift driving both indoor and outdoor. The brushless motor coupled with the compound drift tires make the Drift Star capable of extreme angles, while the 4WD system provides great control and power. The steering is precise, the anti-skid tires work brilliantly and the brushless ESC is compatible with both Li-Po and Ni-Mh batteries. Next up we’ve got the Exceed MadDrift, a ready to run drift car that’s loved by RC enthusiasts all over and available in a 1/8 scale. This model is packed full of fun features. The powerful brushless motor means this model is ready to hit the road right out the box. It easily reaches speeds of up to 30mph, while the 2.4ghz radio system gives the driver great control. The MadDrift boasts a low center of gravity design for extra stability, and comes in a bright and bold blue. The foam bumper protects the vehicle from impacts and this model comes with 2 7.4v Sky Li-Po batteries. For a fun car that can be easily customized to suit your preferred speed, the MadDrift is a solid choice. The Exceed Electric Rally Truck is extremely popular, and for good reason! It’s ready to run, 4WD and contains high quality radio gear. The powerful 540 motor is reliable and powerful, while the lightweight alloy chassis increase performance and durability. The suspension arms are lightweight to reduce the overall weight of the car, while the battery is long lasting. The AM transmitter and receiver work seamlessly to help you control the truck with the utmost precision. Overall, this truck is fast, fun and responsive. It’s great for beginners and good value, but it’s certainly not as high quality as others on the list. However, it’s perfect if you’re just getting started and want a fun and speedy first car. The Shockwave Nitro Buggy is another by Redcat Racing that deserves a mention. Powered by nitro fuel, this buggy requires slightly more preparation than the others on this list, but is a fantastic low-budget and speedy option. This buggy arrives fully assembled in a fun and colorful design. All you need is your nitro fuel, AA batteries and a nitro glow plug igniter. It does require a motor break in, so it’s not ready to go immediately, but the wait is more than worth it. This 1/10 model is easy to control and fast. It easily reaches up to 35mph, and can handle all 4WD adventures with ease. The aluminum capped shocks and composite disc brakes give it that extra protection and stability. Despite the price, the parts of this buggy are sturdy and solid. Redcat are renowned for great customer service so any problems you’re having will be quickly answered. They recommend using around 20% nitro fuel to get this RC going the best you can. Another high-quality Exceed product, we’ve got the Electric SunFire RTR Off Road Buggy which comes in a bright and bold Baha Green. What to say about this little buggy? Well, it’s guaranteed to provide hours of fun for anyone venturing into the world of RCs. It’s powered by a brushed 540 motor and includes a 7.2v Ni-Mh battery with charger included. The high down force wing and knobby tires ensure the buggy is stable on the ground even at high speeds, and it also has adjustable front and rear suspension. he only extras it needs is 4 AA batteries for the transmitter. The SunFire is quick and durable, perfect for kids or total beginners and its bright colour means it’s always easy to spot! Next on the list we’ve got the Tamiya Lancia Delta Integrale, another brand that I love thanks to its value for money and high-quality products. Something a little different now, the Lancia Delta Integrale is a build-it-yourself model. This means the body is clear and the parts come unassembled, your job is to put them together before you can drive it! I love build-your-own cars as they really let you get stuck into the nitty gritty mechanics of your RC. The only gripe I do have is that often many parts aren’t included, and unfortunately this is the case with this model. To run this car, you will need to separately purchase a remote, battery, ESC and servo – which can dramatically add to the cost! However, it does include the motor which was a pleasant surprise. All in all, you should expect to pay around $50-100 more than what the kit costs. Overall, this is a great little car. It’s fast, powerful and great fun to build. It works well on most terrains, including tarmac, gravel and dirt, and the body has a great detail about it that often isn’t found in lower RC quality kits. Not very fast - but the look of it makes up for this! The Tamiya RC Sand-Viper is another great build-your-own vehicle, providing hours of entertainment when it comes to building, driving and maintaining – a perfect parent/child project or birthday present. Not including spray painting, it’ll take you a couple of hours to get this speed demon built. The only thing is that a few essential parts aren’t included (see our list of cons for specifics), so these will need to be purchased before you can start building the Sand-Viper. The top speed of this RC is around 35mph, although this could be higher or lower depending on motor, battery or gear choice. For those of you who have always fancied racing around your neighbourhood in a police car, now you can! Well, sort of. The Tamiya RC Porsche 911 Carrera is another build-your-own kit, but this one has something a little extra, it’s a 911 car – and I absolutely love it. This 4WD speed machine is an RC enthusiasts dream. The kit contains a 540-bruched type motor, electronic speed control and highly detailed vinyl stickers. It’s compatible with 380-size motors, although the gear ratio can be easily adjusted to help you reach those higher speeds. I’m not the only one who loves this product. The year of its release (alright, so back in 1973 but it’s had a few upgrades since then), the 911 Carrera won the European GT Championships. This little model summarises everything we love about Tamiya products. It’s high-quality, a joy to build, drive and upgrade – and makes for great on-road fun! Whether you’re a seasoned RC racer or just dipping your toe in the water, an RC vehicle that you’re proud of is something of an essential. When it comes to RC vehicles, anything goes. From the off-road RC monster trucks which wreak havoc on anything in their path, to the speedy race cars which may not be tough, but boy do they come into their own around the racetrack – there is fun to be had no matter what vehicle you decide to go for. That’s not to say that shopping for an RC is an easy task, however. With such a huge number of sizes, colours, specifications and types of vehicles out there, you’d be forgiven for throwing in the towel altogether. I’ve tried and tested a whole bundle of RC vehicles and selected my top 10 to help you find the right RC for you. These top 10 will suit an array of budgets, preferences and levels of experiences, so you’re bound to find something that suits you. 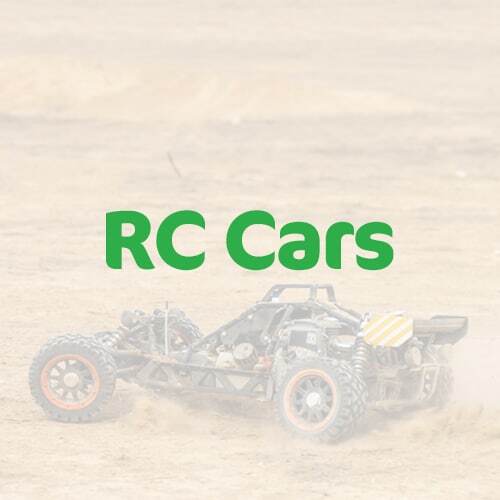 I won’t go into too much detail here, as my ultimate guide to RC Cars should tell you virtually everything you need to know about purchasing an RC vehicle, but it’s still worth deciding what you want to get out of your vehicle before you take the plunge and purchase your own car. Here’s an (albeit basic) rundown of what to look for when it comes to RCs. Car, truck or buggy are the most common types, but of course, there’s also variations within these types. Cars are great for racing on hard, flat surfaces but may struggle on tougher terrain. Trucks are great if you’re a closet adrenaline junkie – powerful, heavy and great for, well, destroying stuff. And buggies are a great middle man – durable, tough and deceptively speedy in the right hands. Ni-Mh or Li-Po may not mean a lot to you if you’re yet to get clued up on RC lingo – but it’s actually an important decision. Ni-Mh batteries are less powerful but easier to use and generally best for beginners. Li-Po packs are more expensive, harder to store and charge, but have the ability to transform your RC into an adrenaline-spiking pocket-rocket. Next up is the motor. Brushed motors are good for beginners but less powerful. Brushless are more efficient meaning your RC will travel faster and with more power. They are also more durable but, of course, more expensive. While I don’t base our RC-buying decisions solely on the label, there is certainly some emphasis to be placed on the brand of your RC. All the RCs on this list are from reputable and reliable brands which, if you’re spending large amounts of money on a product, is certainly a safer choice. DIY or Ready to Run? Those of you eager to get going will want a ready-to-run vehicle. These will require very little effort to get them started, and generally come with all parts included. If you fancy putting your DIY hat on and diving into the nitty gritty of RCs, a DIY vehicle is your best bet. These are great if you want to understand the mechanics of your vehicle, and get that feeling of reward that comes from building something yourself! Finally, we’ve got 2WD vs 4WD. 2WD are generally cheaper, easier to maintain and more durable. However, they do move a little slower. 4WD are stable, with great grip and may seem slightly more aggressive in style. If you’re an adrenaline junkie, 4WD drive models are your best bet, providing more of that ‘out of control’ thrill.